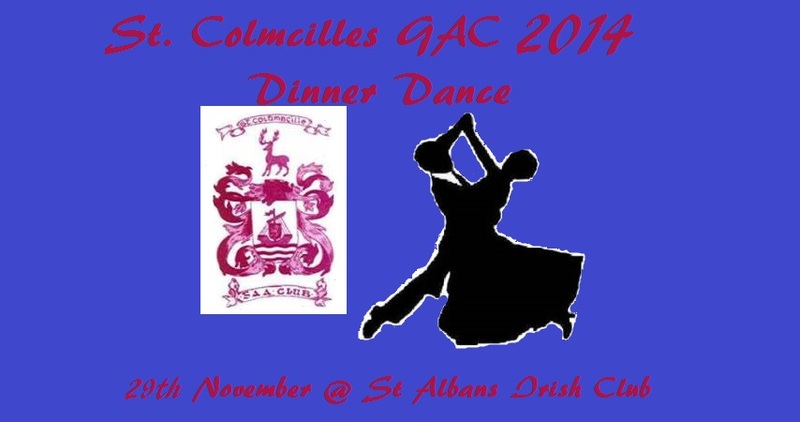 The Annual St. Colmcilles Dinner Dance will take place on Saturday 29th November 2014 at the St. Albans Irish Club. Once again this promises to be a fantastic event with plenty to celebrate on the night. 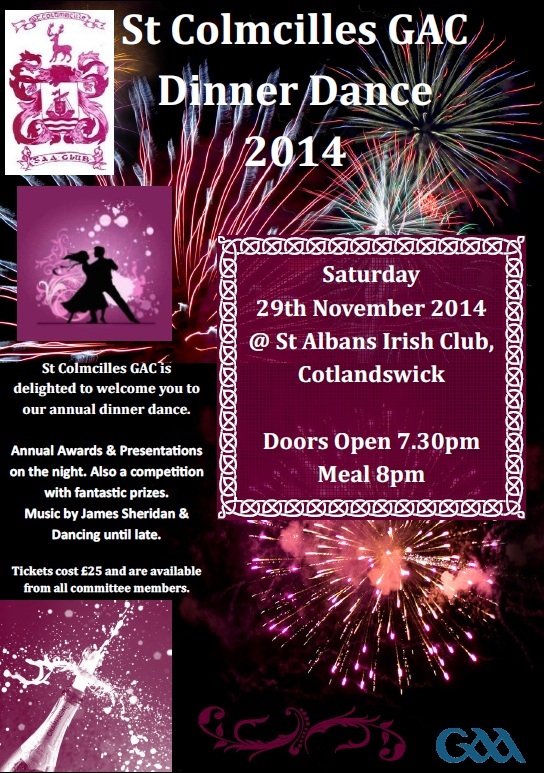 There will be live music from James Sheridan and plenty of dancing along with a three course meal. There will be trophy and medal presentations on the night along with other special awards. We will also be doing a competition on the night with some great prizes. Tickets cost £25 and are available from the committee members now. Hope to see you all on the night. Once again this promises to be a fantastic event with plenty to celebrate on the night. There will be live music and plenty of dancing along with a three course meal. There will be trophy and medal presentations on the night along with other special awards. We will also be doing a competition on the night with some great prizes. Tickets cost £25 and are available from the committee members. 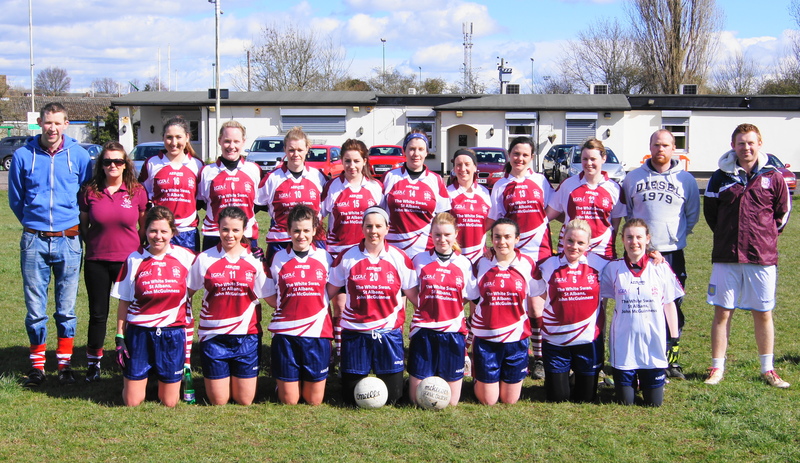 The St Colmcilles Ladies Team are hosting a Social Night on the 24th May from 8pm. The Venue for the event is The White Swan pub in St. Albans. There will be a raffle on the night with various prizes. Entertainment on the night will be provided by The Mojo Rising playing Funk and Soul covers from classics to more modern releases. All are welcome for what will be a fantastic night! !